Moving into the house was a dream come true for Spud, my darling son who wished to have what so many of his school friends and family had, a garden to call their own, a garden where he could play football, splash in a pool, swing on a swing, run around with his puppy dog, and make memories that'll last a lifetime. I must admit, I come to this house with my eyes closed, just shocked that we'd even ended up with a house, I missed all of the work that needed not only doing to the house, but the front and back garden also. 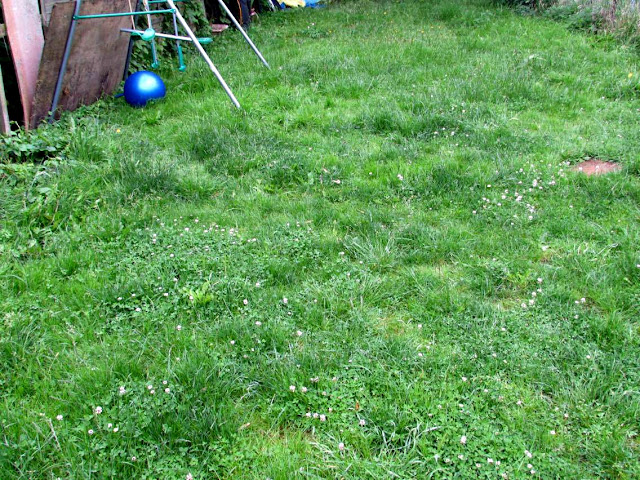 We've been blessed with not only having a garden, after being stuck in a flat for so many years, but we've been blessed with the most amazing very large garden that has lots, and I mean lots of potential. With a big garden, comes lots of work, which sadly takes time, and time I've just not had recently with my health issues, the end of the school year and what more. However, with the summer holidays fast approaching where Spud will have six weeks off school, I think it's time I start getting my act together and get this garden sorted, everything from the fences to the once stood flower bed needs sorting, but I aim to do it one step at a time. 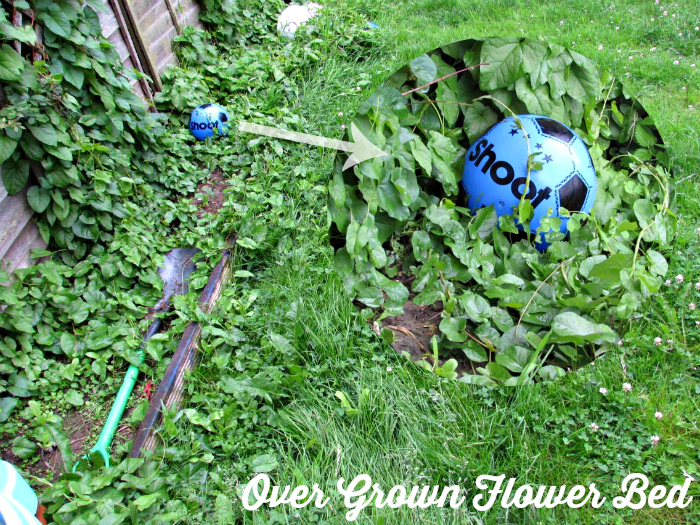 As you can see from the image above, the flower bed has badly outgrown, to the point where you can barely see any earth! I did start to try and sort it out a few weeks ago, hence why the spade is there, but to be honest, I had no idea what I was doing, so I'm going to wait until my dad is free so he can advise me on what's best. I wait for my dad as I dug up (or so I thought) this very same flowerbed last year, and everything has just grown back through, so this time I want to get it done properly. The whole garden needs a good cut, it's not been done for about three weeks as my lawn mower broke on me ahead of a family bbq! Luckily my neighbours come to the rescue and let me borrow theirs, although that's not a long term solution! I'm thinking of getting a new lawn mower, but I must admit I've just been looking at the style (why isn't their a pink lawn mower!? ), and not the product themselves! I want something different to the lawn mower I had before as it couldn't cope with my garden, so I need something new, like these lawn mowers, although sadly none of them come in pink! 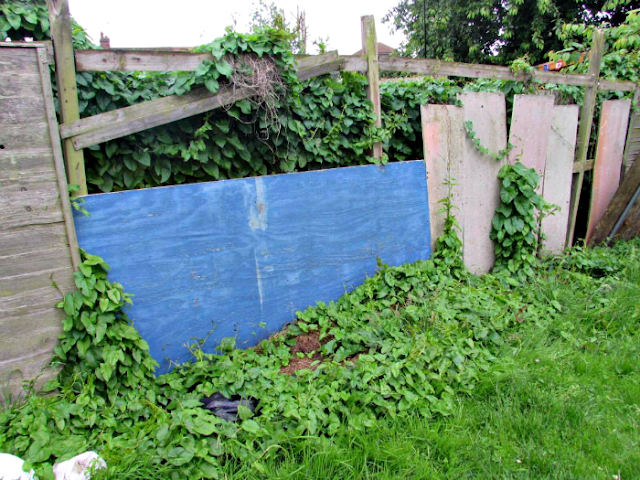 It seems as though previous tenants over the years not only neglected the flowerbed, but also the fence panels too! In total I need 31 fence panels in my garden, and I only have nine, that's a lot of fence panels and fence post that need to be purchased, and I'm dreading to think of how long it will take along with all the hard work that's going to be needed. The previous tenants have at some point put down large pieces of wood as you can see in the image above, but its not the best when you have children and a dog! 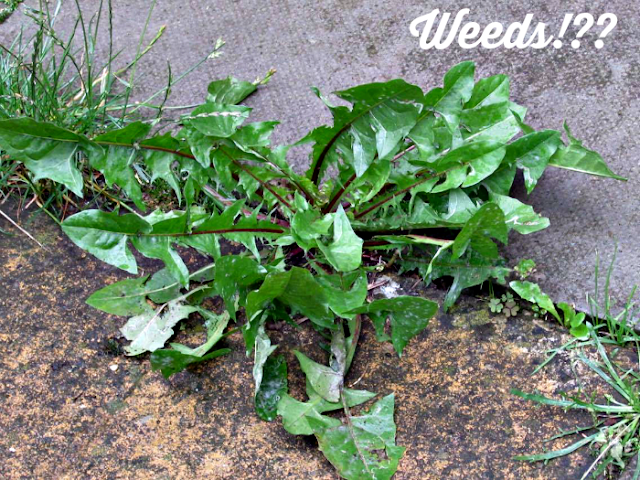 The majority of my garden is grass based, however I do have a patio area, but sadly it's covered in weeds! Actually I'm not even sure what these are, can you tell I never paid an interest in the gardening when I lived at home with my parents!? What I do know is everytime I pull/chop/cut down these things, they always grow back and my patio is covered, so I need to sort these out, or lay a new patio which they can't get through! Is that even possible!? Once the garden is complete, I hope to be able to keep on top of things, even if I hire a gardener/handyman once a month or so. I want Spud to grow up with a memory full of garden fun (amongst other memories), just like I had as a child, and growing up into an adult with the memories I have today. 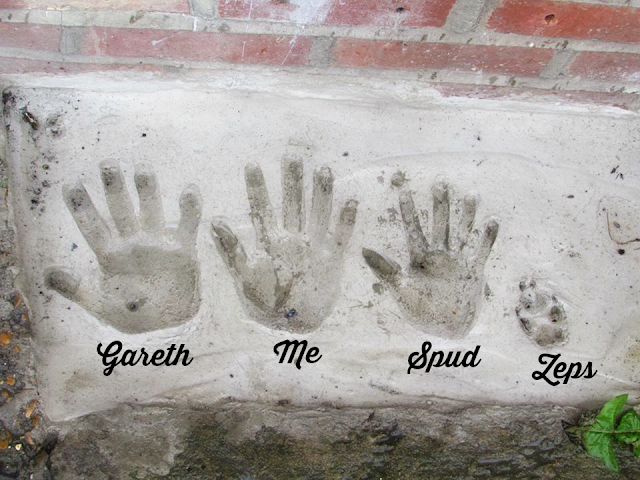 Last month, I asked Gareth to cement a little area for me, where we all left our handprints, minus the dog who left his paw print, it's my very own special piece of the garden, and will be one of my favourite area's forever.